Quality control and assessment is a vital part of the grain and oilseed production cycles. Environmental factors, processing treatments, and varietal differences are all factors the lead to large variations in product quality and profitability. SCiO – the world’s first and only pocket-sized NIR spectrometer – is radically changing the way farmers, traders and buyers plan and make decisions about their grain and oilseed crops. 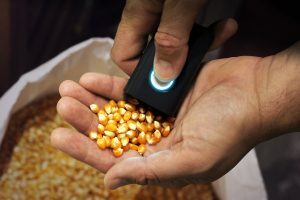 SCiO provides instant lab grade quality analysis of crops in-field, in the grain elevator, and in the processing plant, essentially anywhere it’s needed, and by anyone. 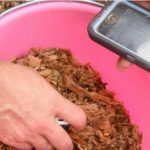 With SCiO, farmers can manage their crops with precision data as often as they need it with no hassle, no expensive lab costs, and no time delay. Simply take SCiO out of your pocket, point, and scan. The results are sent to our powerful cloud for analysis and returned to your smartphone in a matter of seconds. Every scan is automatically recorded with the phone’s time, date, and location. Parameters such as moisture, oils, starch and fiber can guide harvest planning and optimization, and ensure that grain marketing is based on quality. SCiO brings huge advantages over other material analysis devices currently available. Current methods of quality analysis have a number of disadvantages; most are simply too cumbersome to carry around making frequent measurements impractical. External lab testing results take days or even weeks to arrive. Sampling is fiddly and labor intensive. Other solutions require equipment that’s way too expensive for most farmers or traders, never mind the fact that nobody would want to carry around a sensitive costly device and risk damaging it. 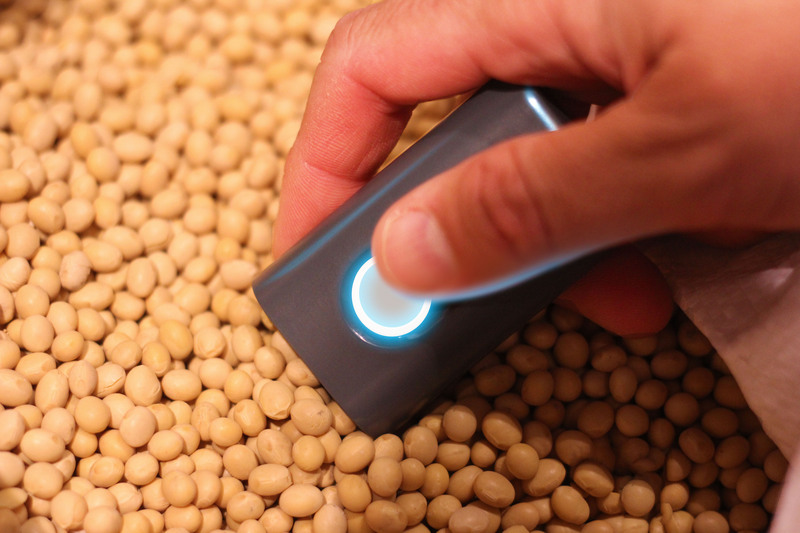 SCiO’s size and speed make it easy to collect many samples per unit area, and repeat them every few days, enabling powerful analytical tools for overall agricultural management. Many big data uses can be easily utilized – for example Geo data can be displayed as contour maps of protein or moisture levels in each field and growing area. Maps can then be time shifted to view evolution and trends, both within-season and season-to-season. These short and long-term insights allow for dynamic optimization of fertilization and harvest timing. Once the crop is harvested, both farmer and trader can assess the final quality prior to market. Traders can optimize purchase price with instant analysis of quality parameters at the purchase location, and by mapping and analyzing market quality and futures pricing indicators based on quality distribution to optimize pricing strategies. Grain elevators, mills and crushers can analyze all incoming grains, beans and oilseed and make pricing decisions based on real-time quality assessment. Market pricing can be optimized with geographical grain quality maps showing the main quality parameters – high protein value, oil maps for Soy and Oilseed, and mapping dry matter/moisture and proteins for wheat crops. Our data aggregation allows on the spot pricing decisions, grain and bean nutrient analysis, quality control and real-time decision making. Decision making is the name of the game. SCiO enables inexpensive, real-time decision making by anyone, anywhere, having a direct positive impact on quality and profitability.